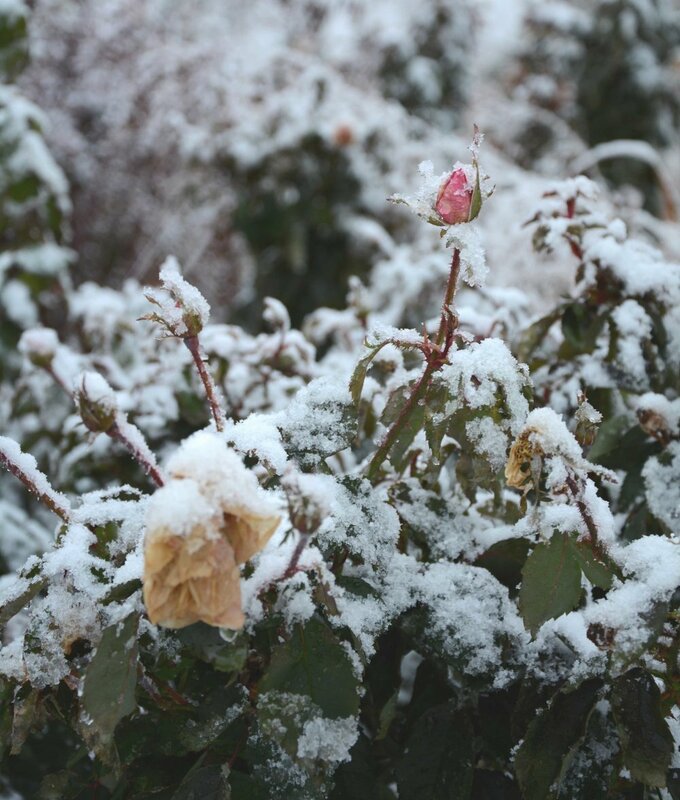 Drift® Roses are incredibly tough and can make it through almost anything, long winters included. If you do live in an area with harsh winters, there are a few things to try that will help your roses flourish in the spring. Add 2–3" of mulch, leaves, or pine boughs around the base of the plant. Don't panic if you are in an area that receives a lot of snow! A heavy snow cover will actually help insulate and protect the plant through the winter. Since the winter winds can be especially drying to plants, consider wrapping the plant with burlap to retain moisture. In spring, be sure to remove any extra mulch that may be covering the plant too deeply, and trim out any dead or broken canes. Also, remove any burlap or protective covering that you may have used to wrap the plant. To start, leave the containers outside through the first few frosts of the season, then bring them inside and store in a cool, dark area such as your basement or garage. If you store your containers in the garage, remember to protect them from the winter temperatures that can come in as you open and close the door. Keep your containers inside until the threat of the last frost has passed (typically in early spring). You'll want to check your roses periodically to make sure they don't dry out completely. If they do start to dry out, water them lightly.